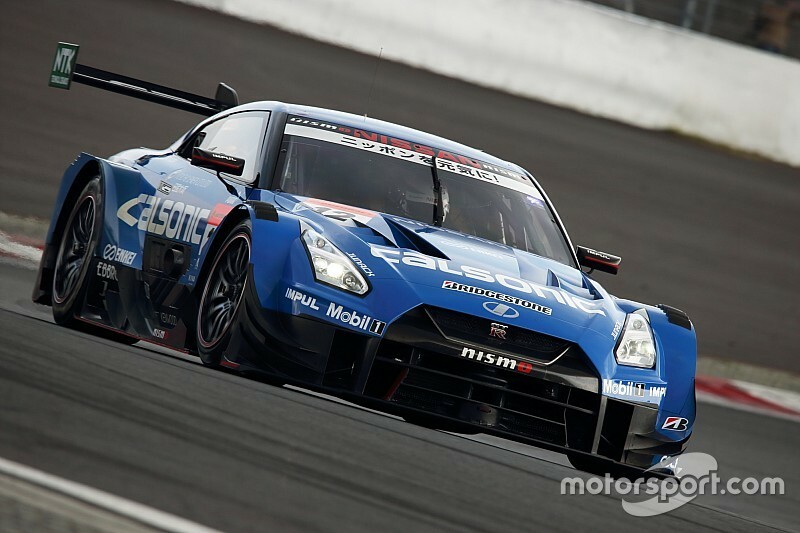 The Impul Nissan team maintained its pre-season favourite status in Super GT after topping the first day of testing at Fuji. After setting the pace in tyre tests at Sepang and Suzuka as well as in the official running at Okayama, Impul was once again the team to beat as the final pre-season test of the season got underway at Fuji Speedway. 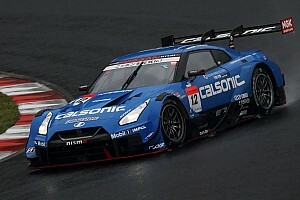 James Rossiter and Daiki Sasaki lapped the 4.5km circuit in 1m28.254s in the dying minutes of the afternoon session, ending the day a tenth clear of the NISMO-entered GT-R.
Ronnie Quintarelli and Tsugio Matsuda were stuck in the garage during the first hour with an apparent technical issue, but still ended second fastest. Ex-Formula 1 driver Heikki Kovalainen and his new teammate Yuichi Nakayama (Sard Lexus) were quickest in the morning session, but their laptime of 1m28.435s was only good enough for third by end of the day. 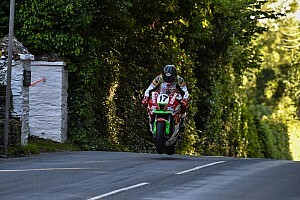 Yuji Kunimoto and rising Japanese star Sho Tsuboi finished fourth for Bandoh, less than a tenth ahead of the sister Lexus car of Kazuya Oshima and Kenta Yamashita (Team LeMans). The Dunlop-shod Nakajima team led Honda’s charge at Fuji, with Super Formula convert Narain Karthikeyan and Formula 2 race winner Tadasuke Makino ending up three tenths off the pace in sixth. After trialling a new flick box at Okayama, Honda returned to its conventional 2018 setup this weekend. The ARTA Honda team, which is running a striking new red livery this year, finished seventh with Tomoki Nojiri and Takuya Izawa behind the wheel, ahead of the Kondo Nissan of Jann Mardenborough and Mitsunori Takaboshi. 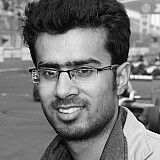 2017 champions Nick Cassidy and Ryo Hirakawa were classified ninth for TOM’S Lexus, while the top 10 was completed by the B-Max Nissan of Frederic Makowiecki and Kohei Hirate. 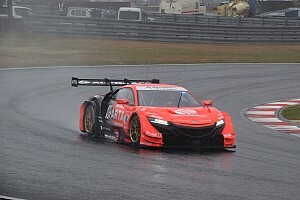 Reigning champions Jenson Button and Naoki Yamamoto finished over a second off the pace in 14th in the Kunimitsu Honda, only ahead of the sister NSX-GT of the Mugen team. The GT300 field was once again led by Tsuchiya Engineering, with Takamitsu Matsui and Kimiya Sato setting a time of 1m36.377s in the Toyota 86 MC. The factory-supported D’station team ran into troubles with its newly-received Aston Martin Vantage GT3 chassis, clocking only nine laps in the morning. 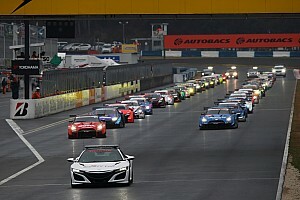 However, the team was able to fix its problems in time for drivers Tomonobu Fujii and Joao Paulo de Oliveira to add another 36 laps to the tally in the afternoon.